Underwater Audio’s waterproof iPod is durable in many aspects. It is designed to withstand being submerged in water, flip turns, vigorous workouts and water sports. You can bring it to the ocean or even take a shower with it if you want. It’s also accident proof in that if you drop it in the sink or a puddle it will survive no problem! The iFloatie open-water protection system brings fool-proof to a new level for your Underwater Audio iPod. The iPod goes in the silicone case which is attached to a mini flotation device. This way you don’t have to worry about dropping your music device in the lake, river or ocean! 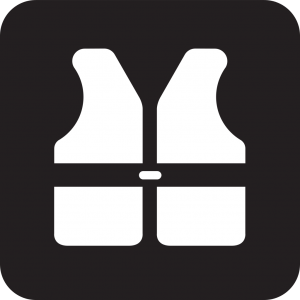 The iFloatie works as a life jacket for your iPod, and allows it to float to the surface. If you’re into water sports, this is a great option for you too. Practice makes perfect, but that means there are bound to be wipe outs on the way! Just attach the iFloatie to your iPod, hook it to your swimwear and you won’t have to worry about losing your music. Even the best of us can be be susceptible to accidents and wipe outs. It’s better to be on the safe side of things. 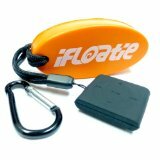 Protect your waterproof iPod with the iFloatie! There’s an option to include it in your order for free for any purchase including an iPod from our website, otherwise get it for only $10 here!